Take a trip to Cuba, where only danger and mystery can drown the sounds of island’s incredible music. But then, you're are falsely accused of murdering your own brother. Now, you are facing what can only be described as a terrible supernatural phenomenon surrounding a mysterious guitar player. In no time at all, your visit to paradise quickly turns into a fight for your very soul. Will you be able to hear the difference between the tones of salvation and the tune of betrayal? Have you what it takes to resist the draw of the Havan night? Lose yourself in the Cuban night! A special third-person feature that provides a new level of immersion. A gameplay that is tightly connected to the real world and its interactions. An adult-oriented plot that provides a feel similar to a great crime novel. 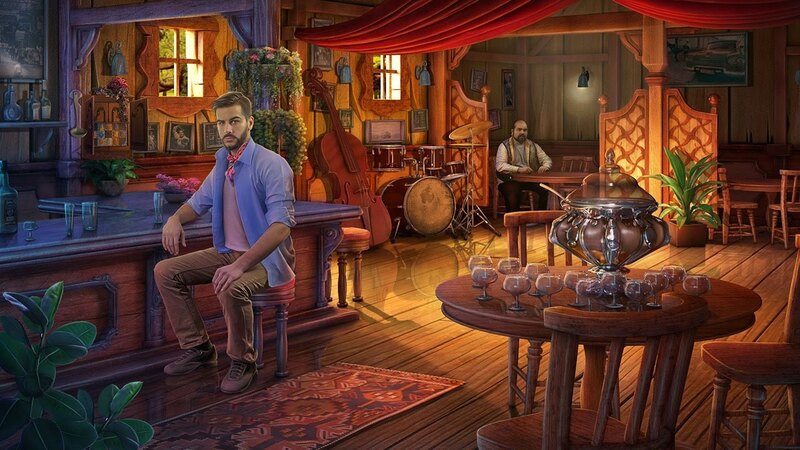 Hidden-object scenes and puzzles that make the full use of the unusual setting. All the wonderful cultural elements that make Cuba an unforgettable place! "Music and sound of trumpets and a pleasant singing will definitely convince you (even for a moment) that you are really in Havana." "Cadenza: Havana Nights is a very exciting and thrilling hidden object game that will have you glued to your screen from start to finish as you try to take down the mysterious guitarist." "Cadenza: Havana Nights packed exceptional storytelling and sophisticated gameplay in one attractive package." “This game has everything I want for a game to be entertaining, difficult and makes me want to play." There are many ways to stay in touch with Mad Head Games. We regularly post on a range of our social media accounts. Why not start following us on the networks you use regularly? Let’s be friends on one of these! Subscribe to our newsletter and stay up-to-date with anything and everything Mad Head. By subscribing, you acknowledge that you have read and understood that e-mail address you provided is stored and used to send you our Newsletters. You may unsubscribe at any moment by clicking the link Unsubscribe in e-mails you received from us. ©2016 Mad Head Games, ltd. All rights reserved.